Chenaye Sutton recalls a beautiful moment in a Maranatha kindergarten classroom. The Elementary Assistant Principal was working in her office across the hall from the class when she heard beautiful music. “I was sitting at my desk working and I heard the children just start singing worship songs!” she remembers. “The kindergarteners were singing ‘I’ve Got the Joy in my Heart’!” At Maranatha’s Christ-centered kindergarten program, scenes like these are common. 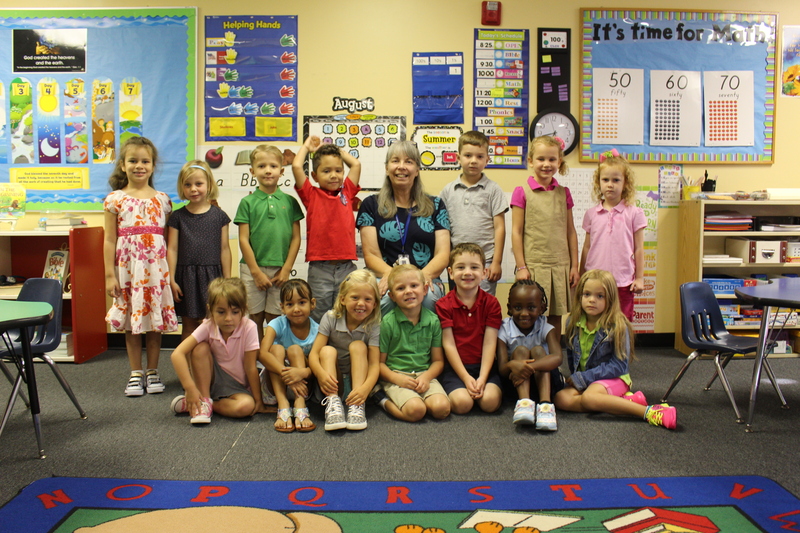 We strive to educate, nurture and train students for Godliness and excellence in our kindergarten classrooms. This becomes particularly significant in teaching children how to treat each other, Mrs. Sutton shares. “At the kindergarten level, this is their whole world! So we’re helping them learn how to work together, how to play games together, how to communicate with each other and how to care for each other well. In many kindergarten classrooms, technology is a key focus. But Maranatha teachers don’t rely purely on technology to accomplish their goals, Mrs. Sutton shares. “I love that our teachers don’t depend solely on technology, but they use it as a supplement for their learning. We vet every app, every item and every tool. The use of technology is structured so it enhances what they’re learning in the traditional sense. Technology is important, but never the priority,” she says. “Because we have high standards and expectations both spiritually and academically, we’re constantly moving forward and trying new things for our students,” Mrs. Sutton says. Maranatha maintains a low student-to-teacher ratio in kindergarten classrooms so every student’s individual needs can be met. If a student isn’t meeting objectives, teachers step in immediately to make a plan for student success.